As a child, my favorite season was summer. As an adult, my favorite season is without a doubt fall. With fall we see an increase of warm beverages and comforting soups. The weather develops a slight chill and invites a hoodie into the wardrobe. There are football games and sunsets with curfews. We have pumpkins and mums. Campfires and s'mores. Throughout the year there are shows that sporadically occupy space on our TiVo, but never as many that come along with the fall season. Every fall we see an influx of new programming, many of which we’ll give a fighting chance for a spot in our viewing lineup before weeding out those that aren’t as entertaining or we don’t necessarily have time for. With those new shows, I’m always hoping for a few spin-offs of past favorites to make an appearance. I know, I know… spin-offs aren’t exactly the most highly regarded of programming, but there are a few I think would be interesting if they had been given a chance. Especially a few from the 90s. Full House was a show where everyone fell in love with Michelle Tanner and her one-liners while rolling their eyes every time Danny Tanner cued the moral-of-the-story music and kneeled on one knee to deliver life lessons. However, I think D.J. was the star of this particular show and it would have been nice to follow her to college since the series ended with her graduating high school. A spin-off documenting her transition from the oldest sister of three and the elder daughter of a well-intentioned yet somewhat controlling father to a wide eyed college freshman would have been interesting. 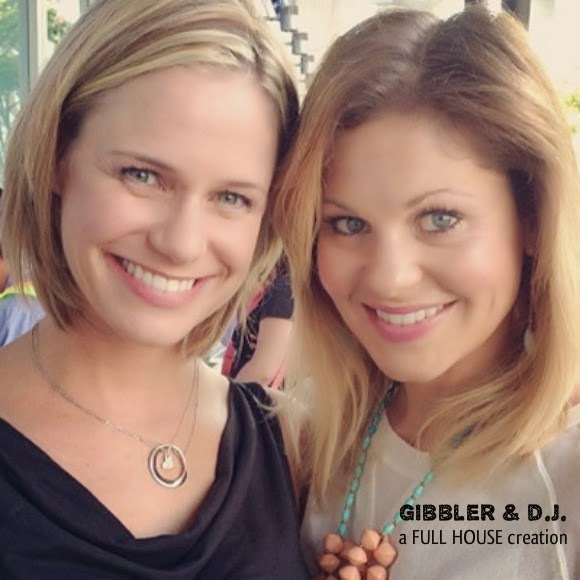 With Kimmy Gibbler as her roommate in the dorms, the situations and stunts they would find themselves in would have been nothing short of hilarious. When Friends ended it felt like the end of an era. I grew up with that show season after season and found myself genuinely pulling for the relationship that evolved between my favorite characters, Monica and Chandler. The series finale provided a perfect opportunity for a spin-off with those two (not the failed attempt that was Joey). 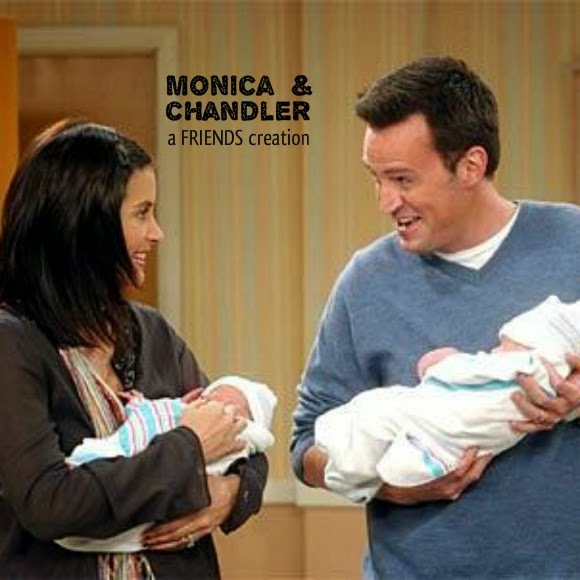 Monica and Chandler had twins (a boy and a girl by way of a surrogate) and moved into a new house outside the city to raise their family. Enter the spin-off! Who wouldn’t want to watch neurotic Monica and sarcastic Chandler figuring out their new roles of mother and father in the suburbs? Think Up All Night, but better. Much like Monica and Chandler, another couple I found myself rooting for was none other than Zack Morris and Kelly Kapowski. Ah, Kelly Kapowski. After Saved by the Bell ended, there were The College Years and then the Wedding in Las Vegas so… why stop there? 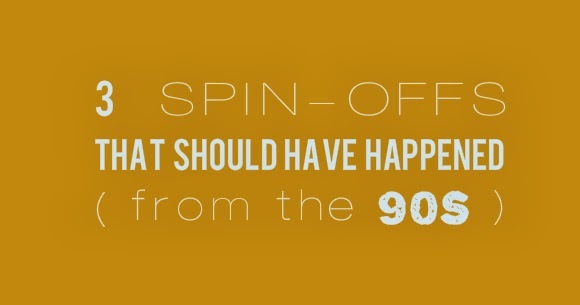 Logically, a spin-off would be the next step (only with Zack and Kelly, not the New Class nonsense). I also don’t think it’s too late! Should Mark Paul Gosselaar’s current gig starring in Franklin & Bash dissipate and Tiffani [Amber] Thiessen has an opening in her schedule, a show centering around their lives as adults could be entertaining. Set in the time frame of today, they could have a child (maybe a mischievous yet charming teenage boy and/or a pretty but boy crazy girl) entering high school as they attempt to steer him/her in the right direction and keep the romance alive in their own relationship. If this can't happen I would settle for a Jessie Spano/AC Slater spin-off or a Hot Sundae reunion. Side note: can you believe they were the class of 1993? That’s 20 years ago… it seems like only yesterday we started. I'm not sure if these would have survived the curse of a spin-off stigma in the long run, but they would have been added to my TiVo lineup (or rather my VHS taping schedule). I'm sure there are plenty of possibilities for others, too, like Fresh Prince or Hey Dude... maybe even Salute Your Shorts. Family Matters. Growing Pains. Maybe. Maybe not. Perhaps the most challenging part of developing a spin-off is linking it to the original, but making it strong enough to stand on it's own. The quickest most efficient way to do this is the name. What would these spin-offs have been called? We'll never know. Original image sources: 1, 2, 3. I loved that show. Can you believe it's on Nick at Nite now? I feel old.